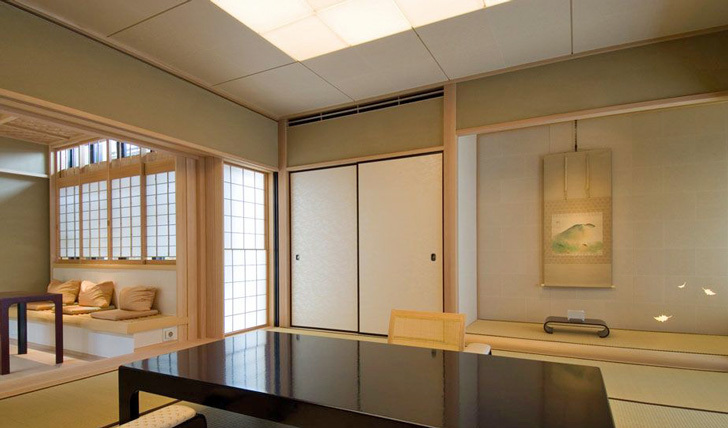 Kyoto is steeped in culture and tradition, and no Ryokan is more traditional than Hiiragiya. Family run and handed down through six generations it’s one of a kind. 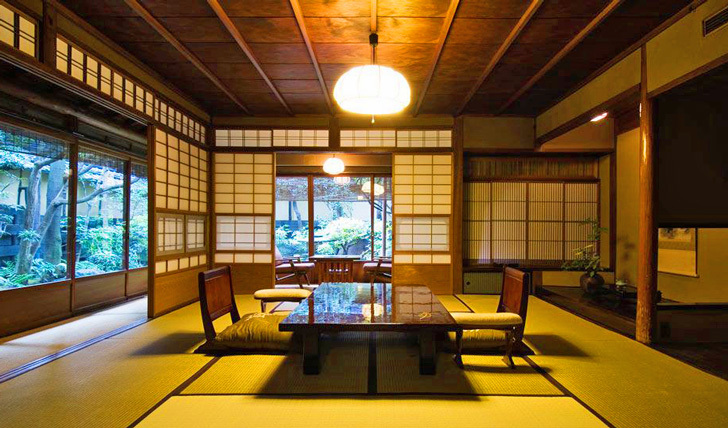 And they’ve kept that Japanese tradition going – with sleek lines, warm muted tones and well-crafted furniture makes Hiiragiya homely. With only 28 rooms it’s intimate, but with unobtrusive staff you are left to your own devices. So take our advice and relax every bone in your body in this calm and luxury bolthole. A quick 90 minute transfer from Kansai International Airport to Hiiragiya and you’ll find yourselves next to the Kyoto’s Imperial Palace and Nijo Castle. Nestled away from the hustle and bustle, you can find your inner peace and relax in its Japanese charm. Amongst such tranquillity it’s easy to forget you are in downtown Kyoto, minutes away from the buzz of city dwellers, restaurants, bars and entertainment. Once you step into your room you’ll find Japanese culture seeping from every corner. All rooms have polished wood beams, reed ceilings and opulent hand-carved transoms. Nearly all rooms have a garden view, welcoming in a wealth of light – the prefect way to release your inner zen. Hiiragiya has been known to play host to the likes of Elizabeth Taylor and Charlie Chaplin – now we think it is good enough for us for us to rest our heads. After retiring from a day of soaking up Kyoto’s culture, it’s time for you to take a dip. This is possibly the best bath we’ve ever seen. With sleek infinity lines, water cascades over the edge without causing a mess. Windows surround it allowing plenty of natural light in. It is so indulgent we’ve never felt so serene. We can guarantee you’ll be blissfully relaxed – you’ll forget which day of the week it is.